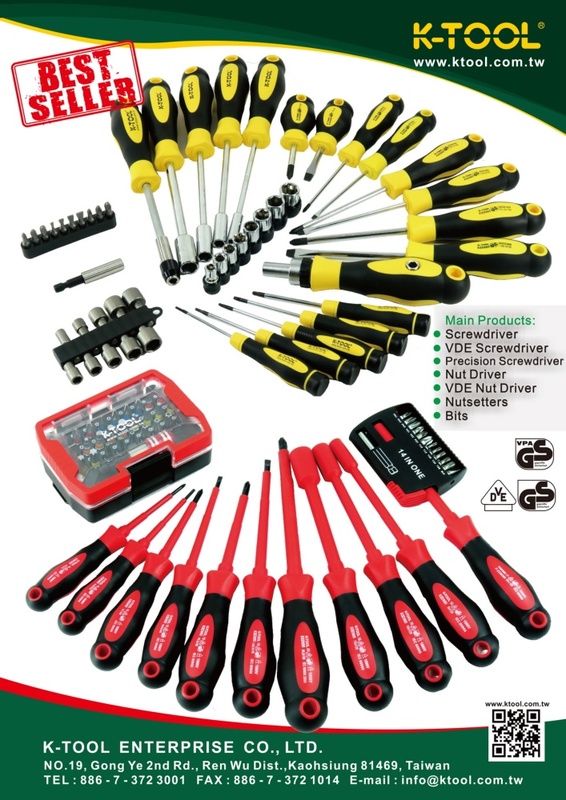 Dar Yu Enterprise Co., Ltd. is one of the most innovative and supportive suppliers of leading chained stores in Europe, US and Japan in DIY fasteners, hardware, assortments, household accessories, and hand-tools. In 1989, Dar Yu was founded in Kaohsiung Taiwan, started with the business of fasteners distribution. To fulfill customers’ growing demand on different packaging on DIY market, Dar Yu established the facility of plastic ejection manufacturing in 1993. In 1997, we moved to a new factory specialized in producing all kinds of plastic boxes in different shapes and dimensions. In 1999, our sister company K-tool Enterprise Co., Ltd. was established for manufacturing hand-tools and high-end insulated screwdrivers. In 2010, we moved our packing lines and storage into a new building of 6,000 square meters located in Renwu Industrial Park to increase the productivity. We have more than 3,000 items of fasteners and screwdrivers are supplied regularly to overseas customers. Based on our supply chain of joint venture and subcontractors, Dar Yu is capable of offering one-stop shopping service to our customers by supplying all kinds of fasteners and screwdrivers made in Taiwan. Dar Yu continuously expands the product line by developing new types and new shapes of packaging that allow us to provide a total solution to our customers. Our high-efficient packing lines performed by professional packing crews enable us to be a strongly supportive supplier to our customers. Strict quality control in according to AQL standard is carried out per product batch by well-equipped laboratory to make sure only qualified products can be delivered to customers. For entering EU market, we also supply VPA/GS and VDE/GS certified nut-drivers and screw-drivers. Over the past two decades, we have been providing quality products, satisfied services and wide selections of product range to develop long-term business relation with our customers. Dar Yu has the expertise of designing customized layout for hardware store shelves with complete series of fasteners and screwdrivers. Dar Yu, the reliable, supportive, innovative, loyal business partner, definitely is your best choice.